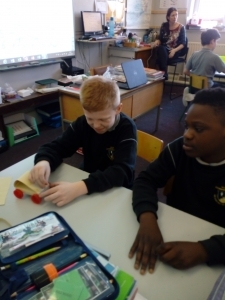 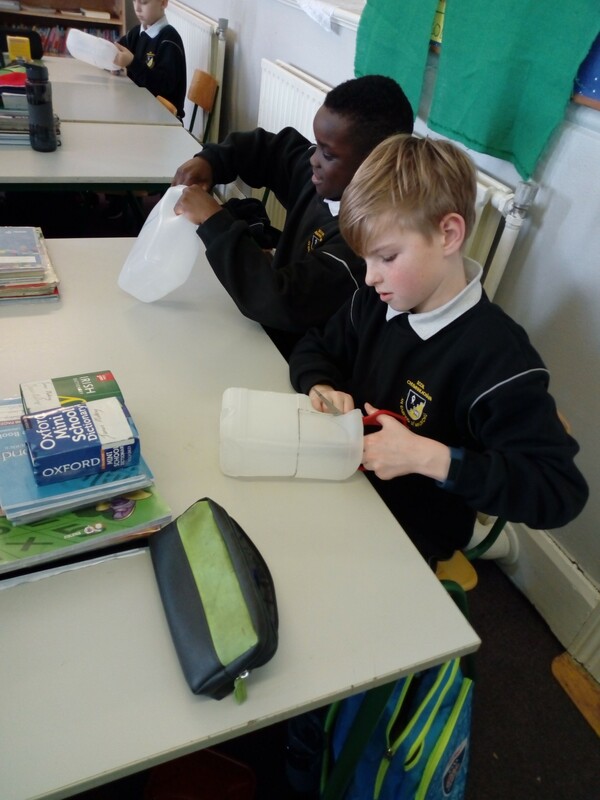 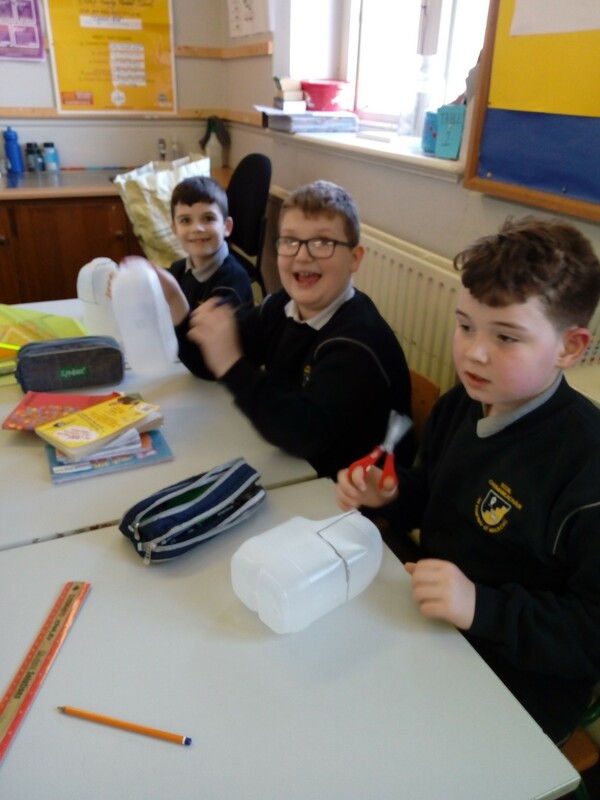 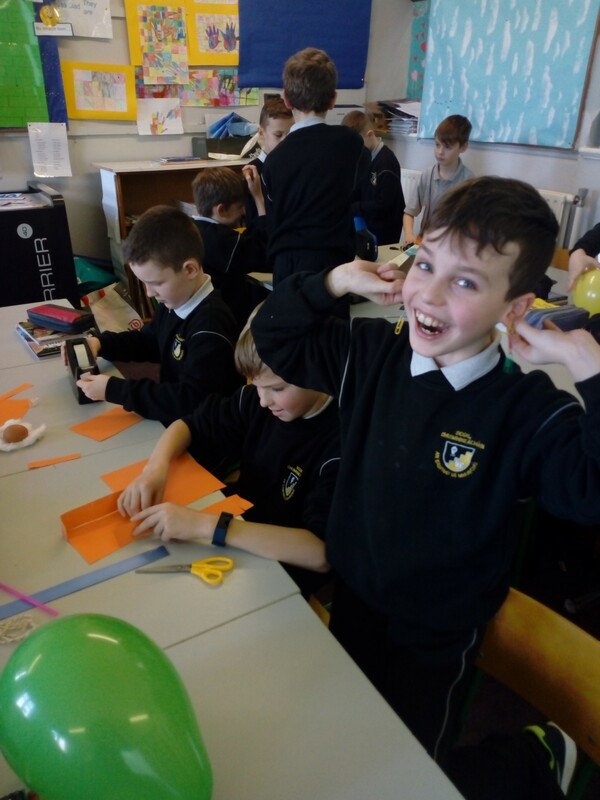 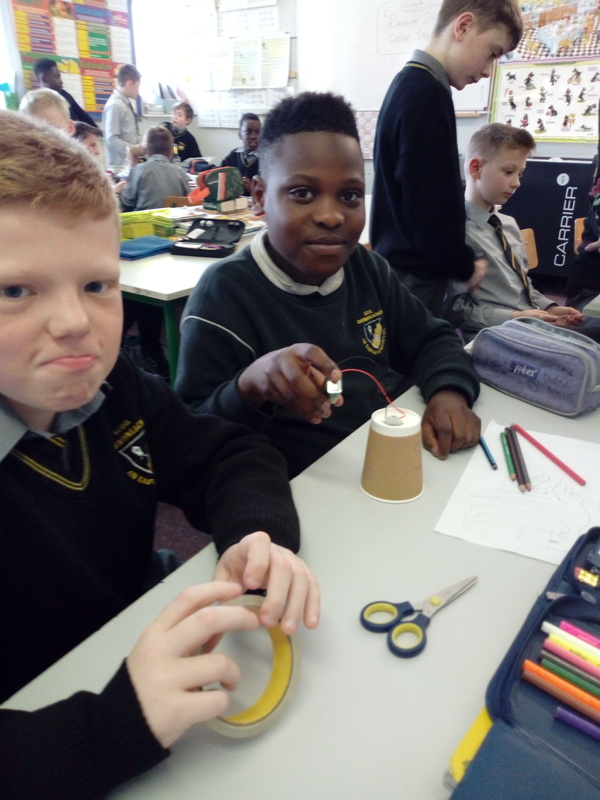 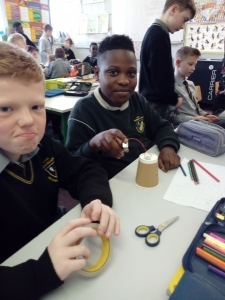 The pupils of 4th/5th class have been developing and improving their STEM skills throughout the year with various experiments across different Science strands. Through experimentation, the pupils learn to work collaboratively and develop critical thinking skills. Some of the best photos show what the children have been working on in their Science experiments. 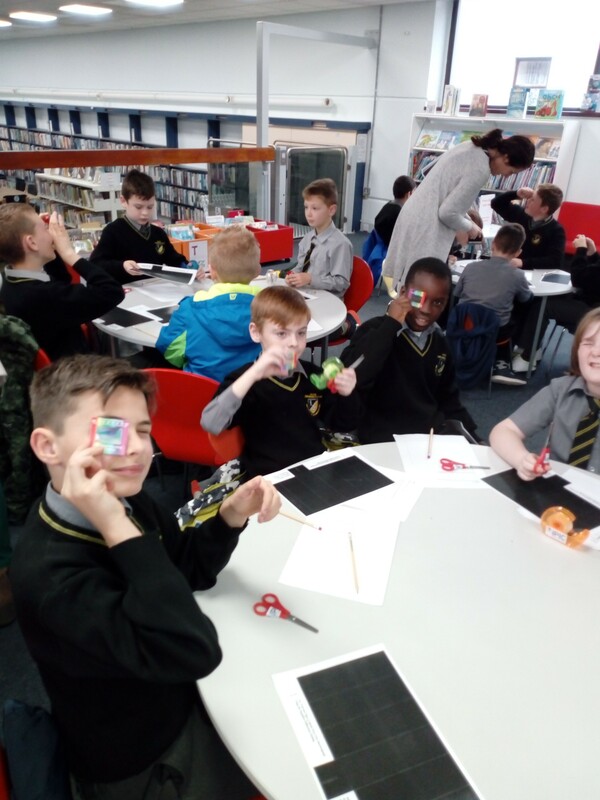 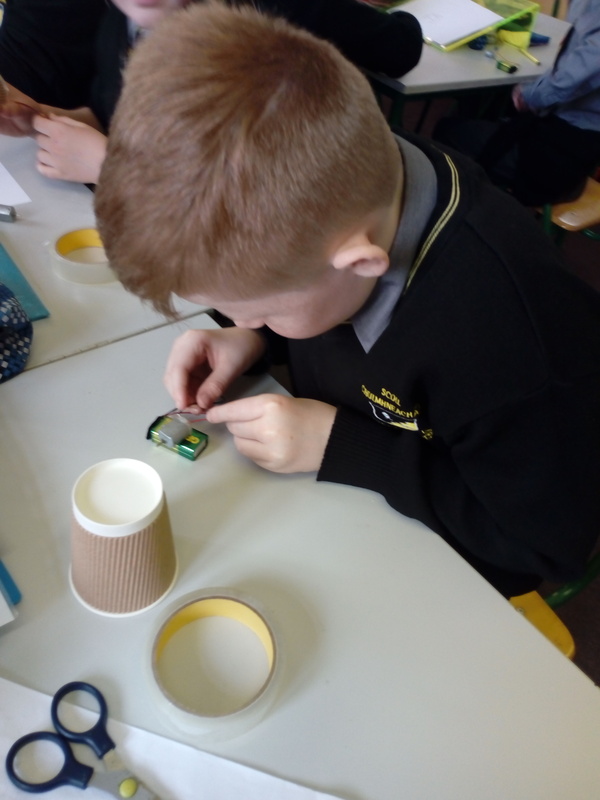 The pupils got the chance to meet Scientists from the Tyndall National Institute (U.C.C) and they got the opportunity to learn about the spectrum of light by making their very own spectroscopes. 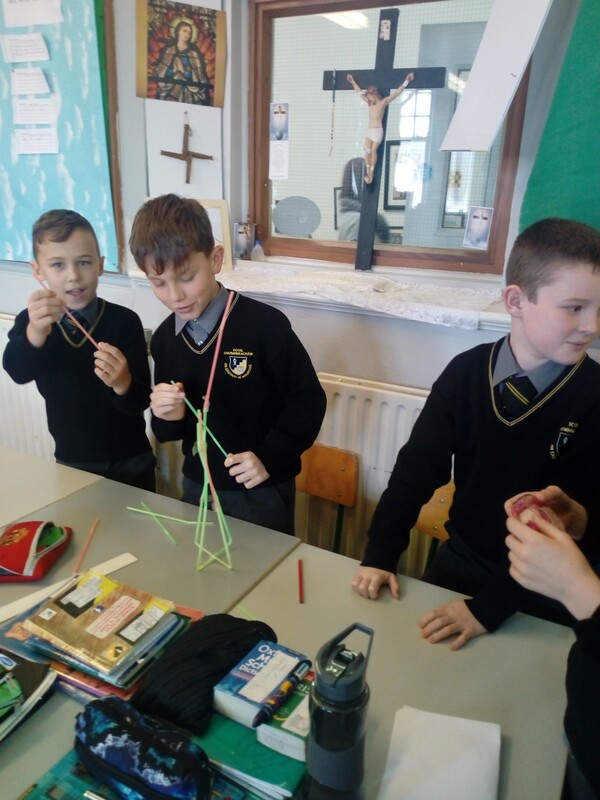 Many thanks to Sinéad Ryan for facilitating what was a fun and engaging day for the pupils of Bishop Murphy Memorial School. 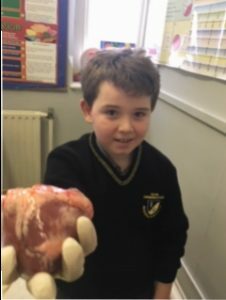 The children learned about the four chambers in the heart by getting to explore a sheep’s heart. The pupils of 4th and 5th were busy developing their STEM skills by working in small groups to plan, build and test the longest and most sturdy paper-bridge using only 3 A4 sheets per group. 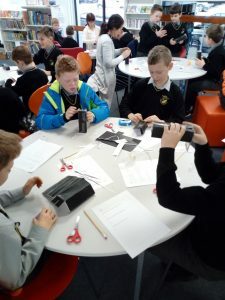 A lot of testing was required and some very innovative designs were used in the different groups so well done to all!! 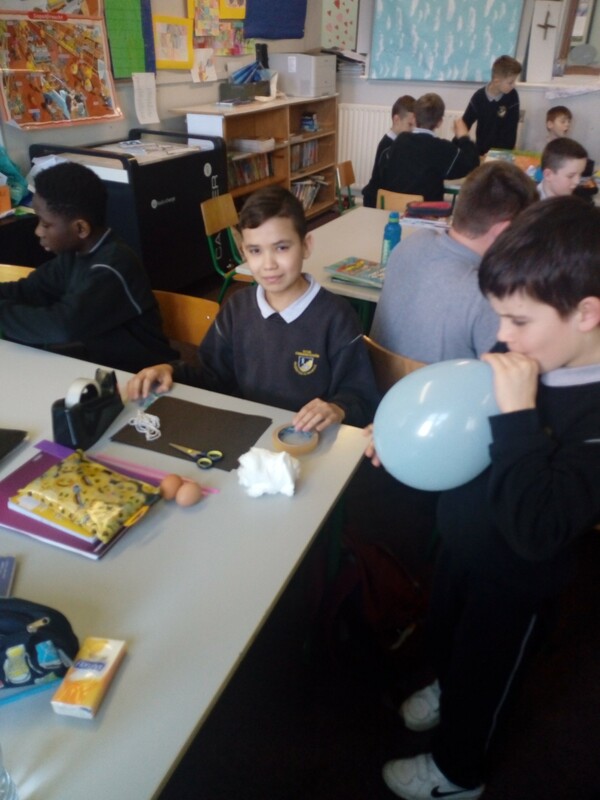 Experiment: Investigate and Experiment the force of gravity with “The Drop Experiment” by designing and making the shuttle that enables an egg “passenger” to land safely and unscathed! 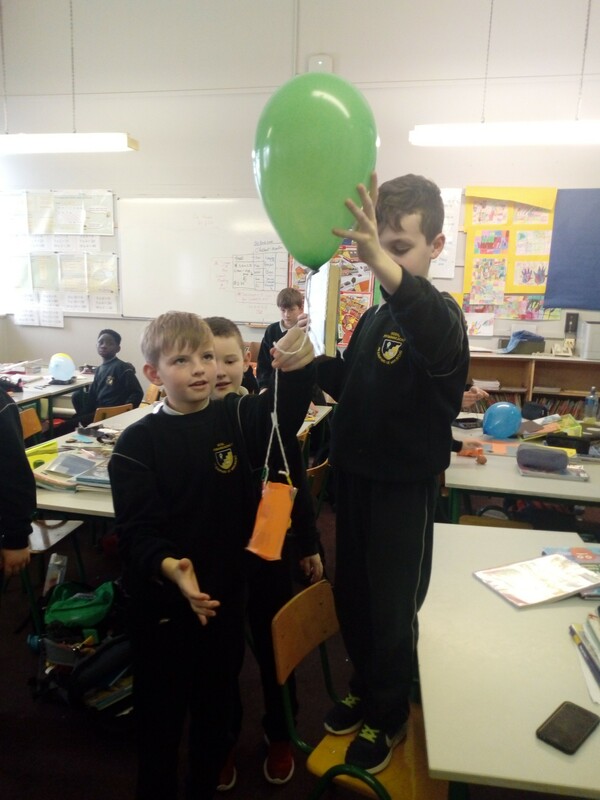 One of the most popular Science experiments was “The Drop”. The children worked so well in their groups and they had great fun making their very own shuttles to keep the hardboiled “egg-passenger” safe from the force of gravity! 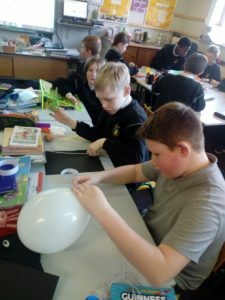 The objective here was to create their shuttle using 60cm of string, cotton wool, selotape, A4 card, scissors, paper-clips and balloon. 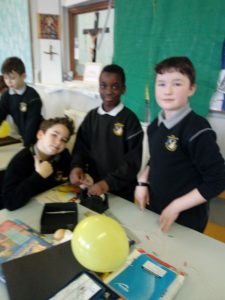 The children had creative freedom with regard to the design used with the only stipulation being that the egg had to sit freely in the shuttle base. For the “launch”, the pupils had to launch the shuttle from a height of approximately 1.5 metres off the ground. 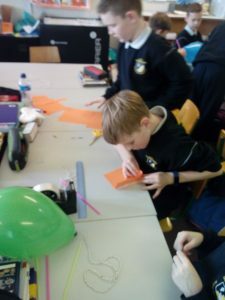 Some groups had to go back to the drawing board to tweak their designs after a few unsuccessful launches but most managed to safely land their shuttle such that the egg avoided any cracks on landing. 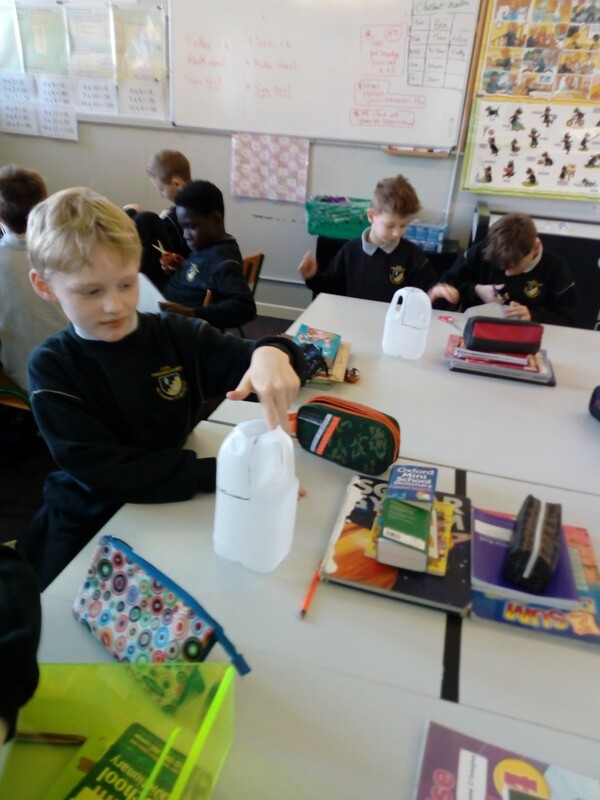 Experiment: Predict and analyse the load-bearing capacity of a plastic container by planning, designing and making a plastic chair-bin from a recycled milk container. Here the pupils can be seen busy at work constructing and testing their chair-bin designs as part of the 2019 Junior Entrepreneur Programme. 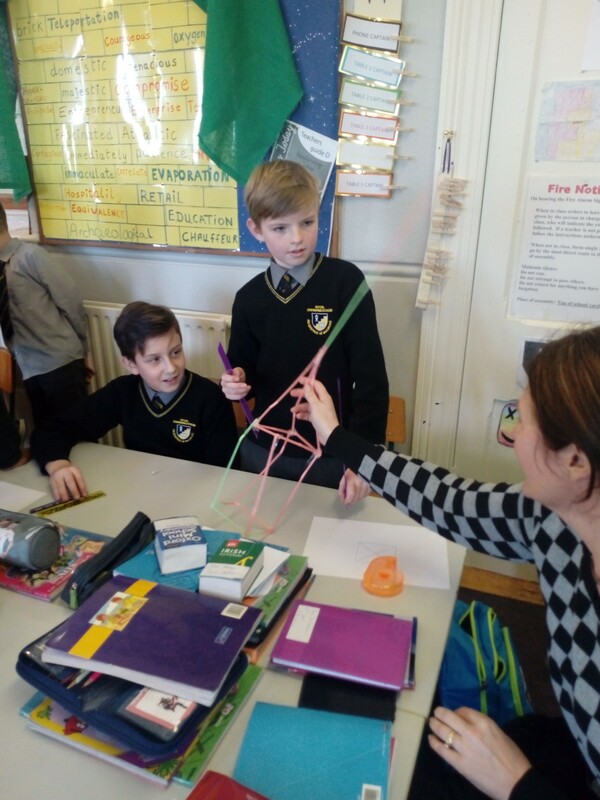 The highlight of this Science based activity was the subsequent testing to explore the load-bearing capacity of their designs. 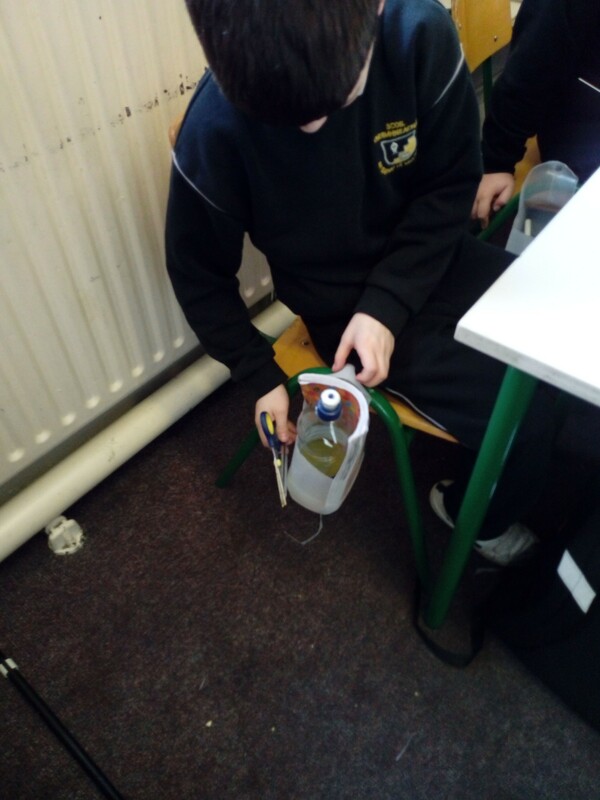 Some were pleasantly surprised to find that they could load a water bottle, scissors and copybook! 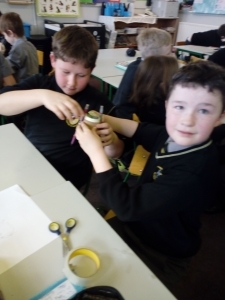 Other pupils discovered that the shorter hook-handles affected the load-bearing capacity. 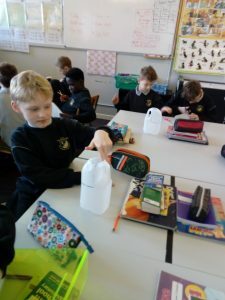 By cutting the handle of the milk-carton much lower they were able to increase load-bearing capacity. Experiment 2: Investigate and Experiment with plastic straws by planning, designing and creating the tallest tower possible using a set number of straws and selotape. 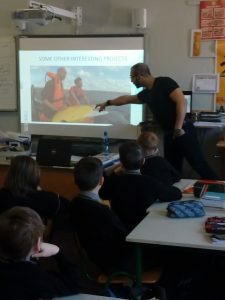 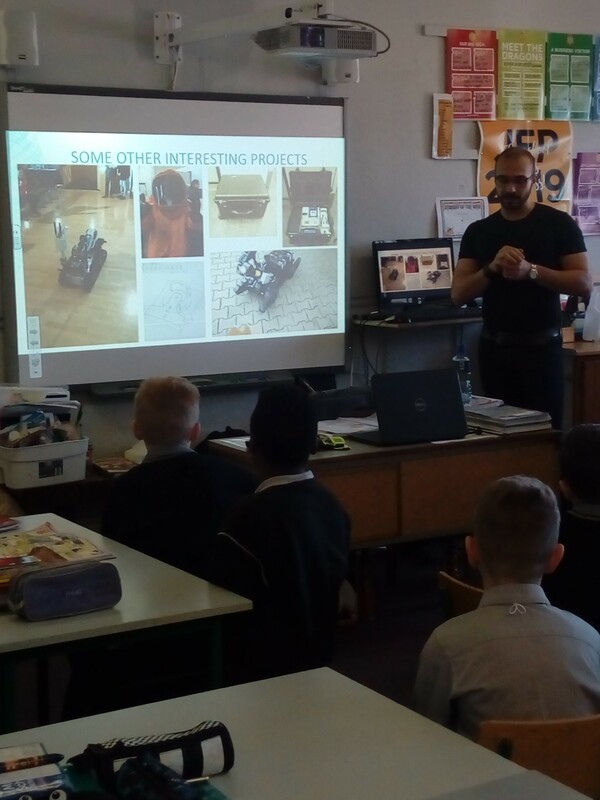 The pupils of 4th/5th celebrated Engineers Week 2019 by meeting a fully fledged and highly skilled scientist. 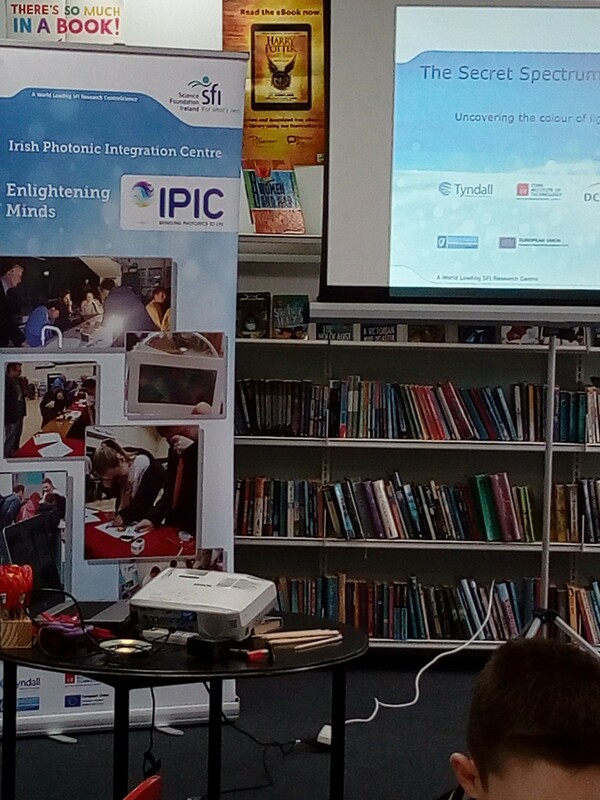 A huge thanks to Sinéad Ryan and Walter Messina from the Tyndall National Institute (U.C.C). 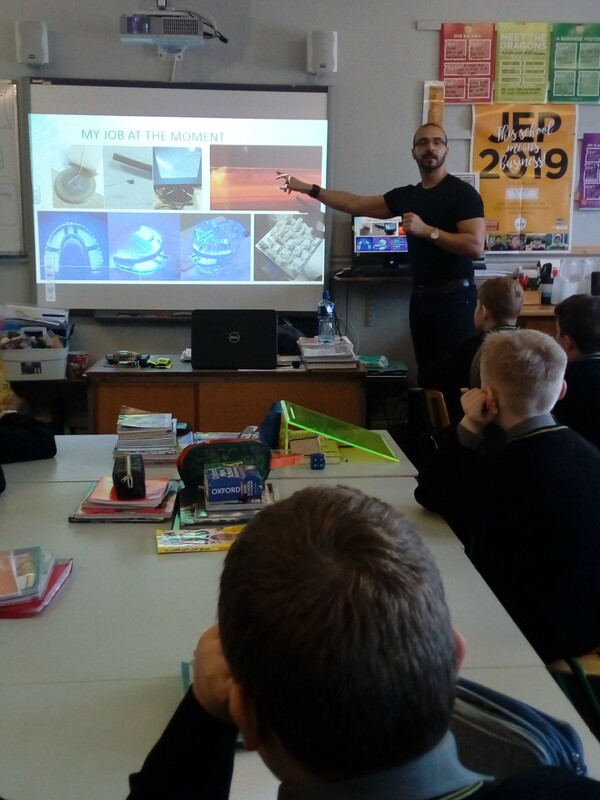 Walter, a postdoctoral researcher with the biomedical department in Tyndall spoke to the class about his background in military engineering where he has designed robotics. 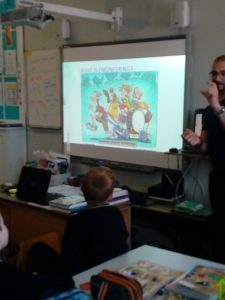 He also spoke to the children about his most recent work in biomedical engineering. 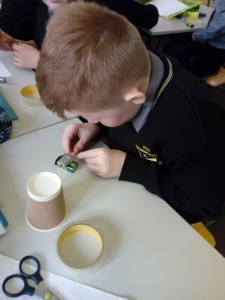 The children thoroughly enjoyed the experience because Walter showed the children some micro-chips that he has used in some of his projects. 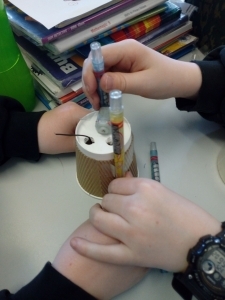 He also brought some resources from Tyndall to conduct two experiments with the pupils. The first experiment involved the use of 3-D printed lego pieces some of which were irregular so a lot of planning was required before attempting to create the miniature-duck. 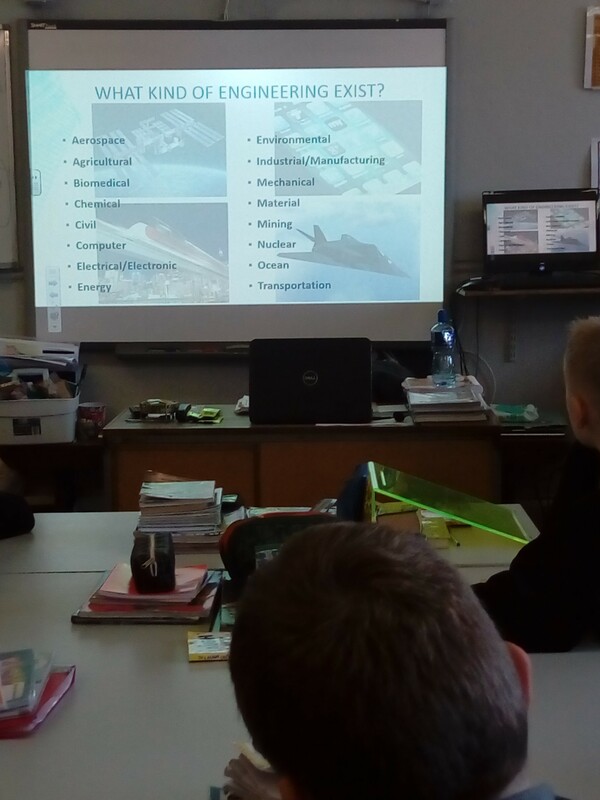 Walter explained that planning is a key component of any project he works on. The students had to design their tallest bridge using sketch-paper before working in teams to build the tallest tower out of straws. 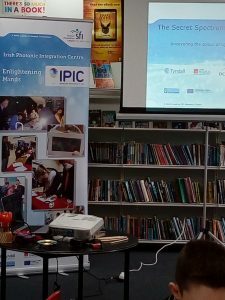 Many thanks again to the Tyndall National Institute for facilitating what was a memorable day for the pupils of Bishop Murphy Memorial School. Many thanks to Walter for putting together such an engaging, educational and fun lesson for the pupils. 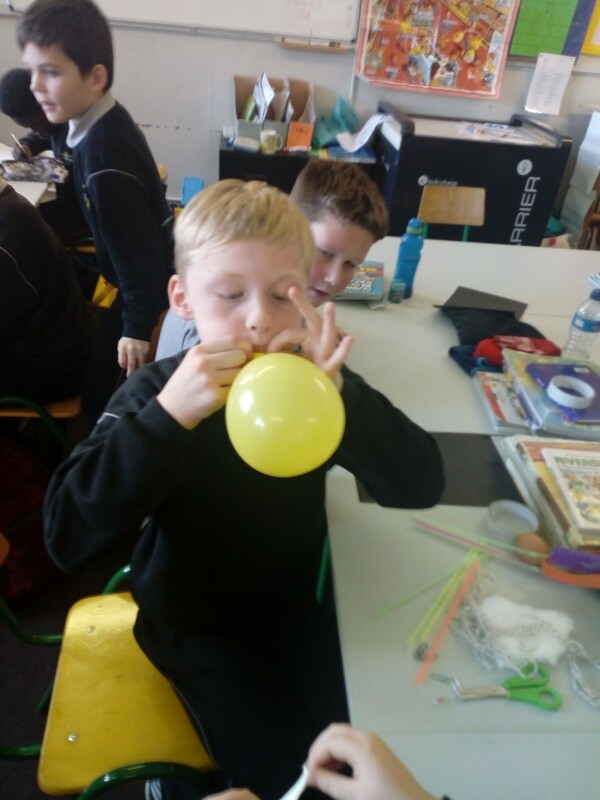 The children investigated how forces acted on objects. 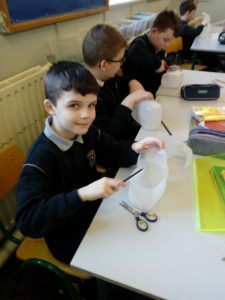 They also Investigated floating and sinking with a wide range of materials and objects. 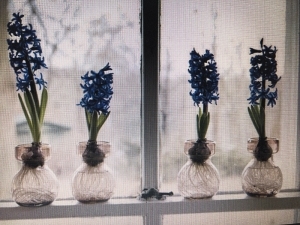 *Tip: You will want to separate the raisins first. 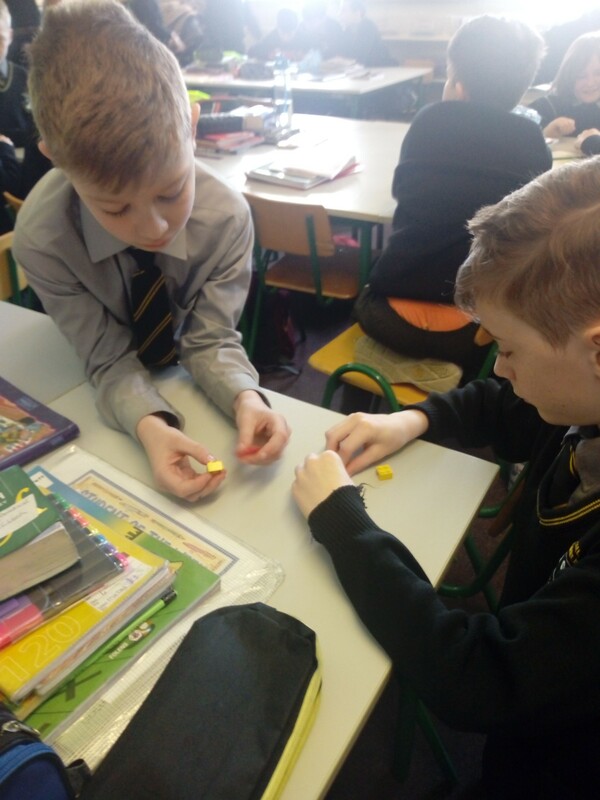 If they are stuck together they won’t dance. Small/medium raisins worked best. 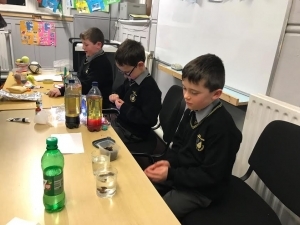 The children filled a glass with 7Up. They dropped the raisins into the glass. 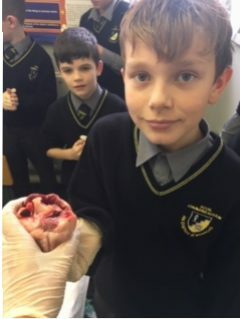 The children investigated what happened. 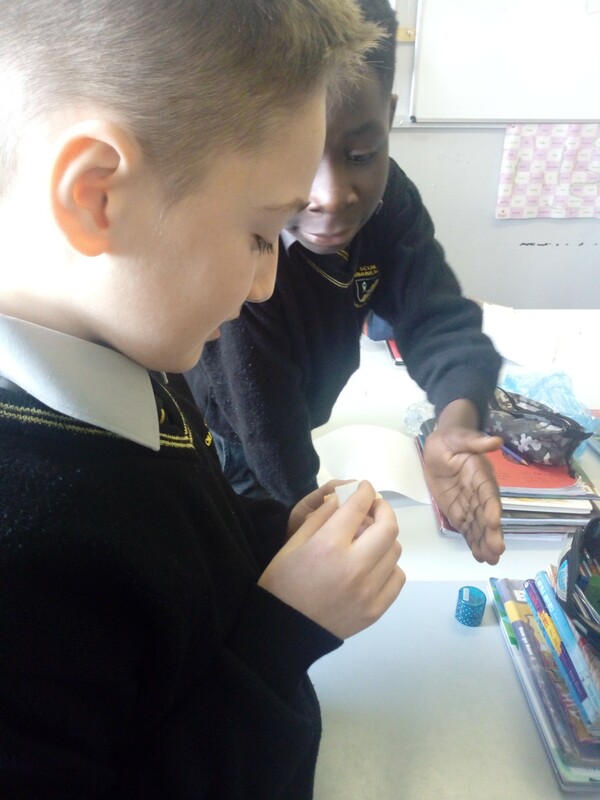 Inquiry questions were then posed; What happened to the raisins? 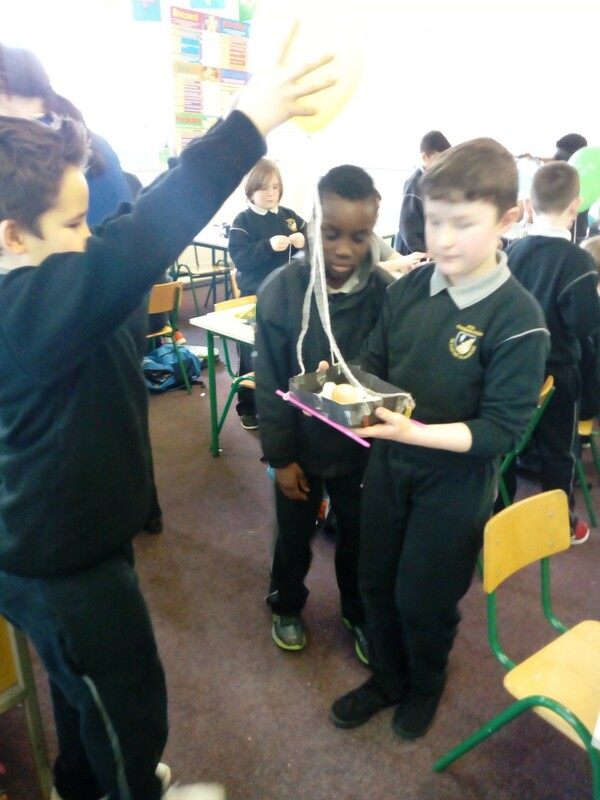 Did they sink or float? Then they sat and observed what happened. 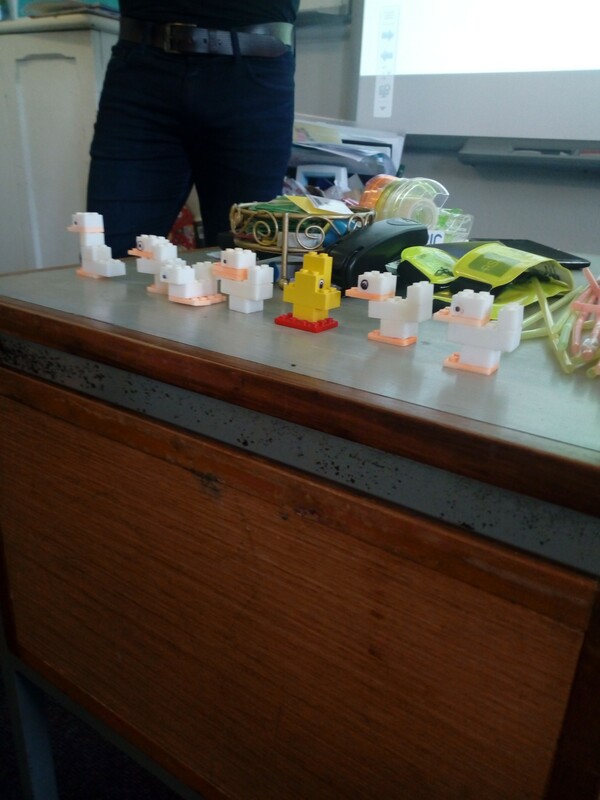 They were very patient as it took a minute or two for them to start moving. 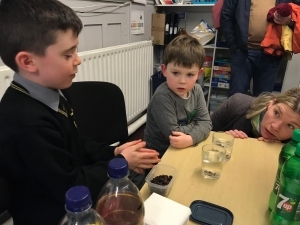 The children loved watching the raisins get lifted up and then pushed back down in the fizzy drink. They were amazed to see the bubbles attach to the raisins and lift them up. 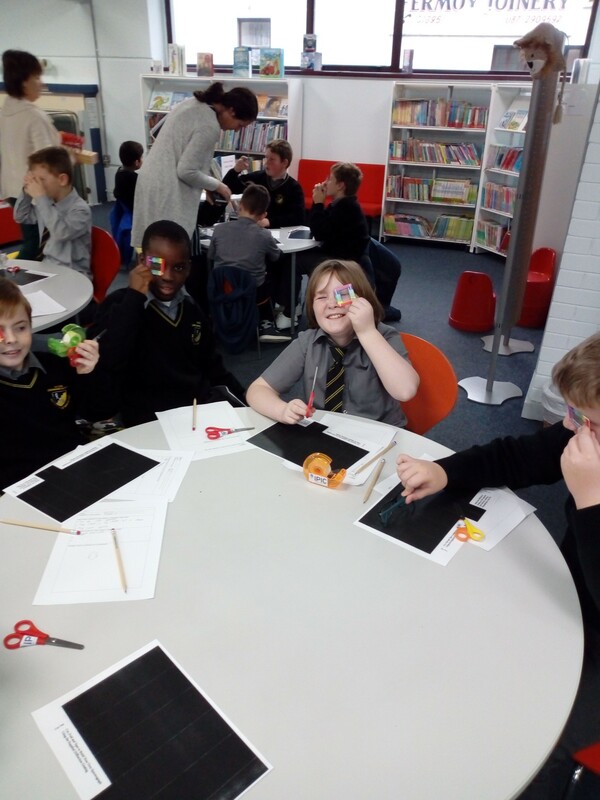 The children brought in a variety of balls made from different materials. They made sure to bring in fairly similar size for fair testing e.g. tennis ball, racket ball, sponge ball, rubber ball, ping pong, sliotar. 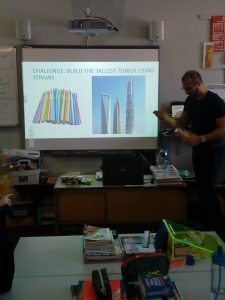 We avoided bringing in large balls like footballs and basketballs. We had a tape measure and a hard surface on which the balls bounced. 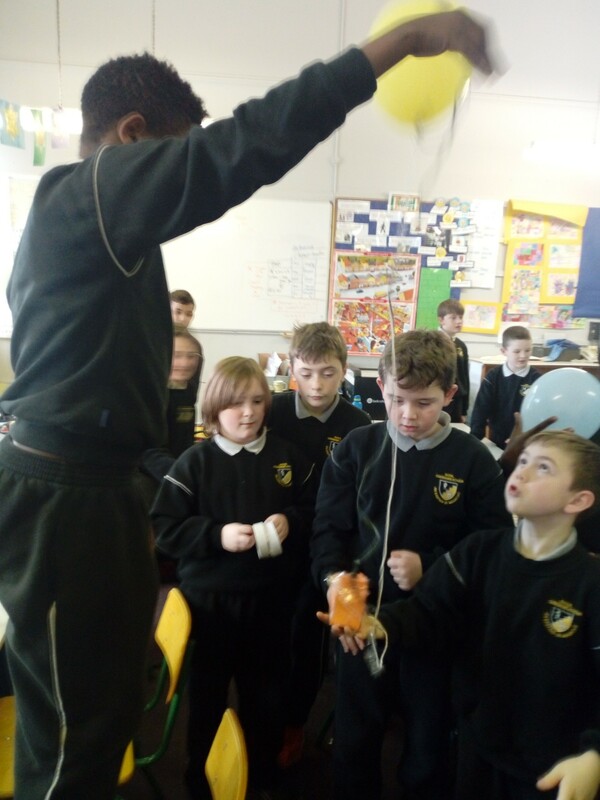 Children were asked questions to elicit prior knowledge on why balls bounce.They discussed that it is because they are elastic and when a ball hots a hard surface its shape changes and the part touching the ground flattens slightly. It recovers its original shape quickly and bounces back up. 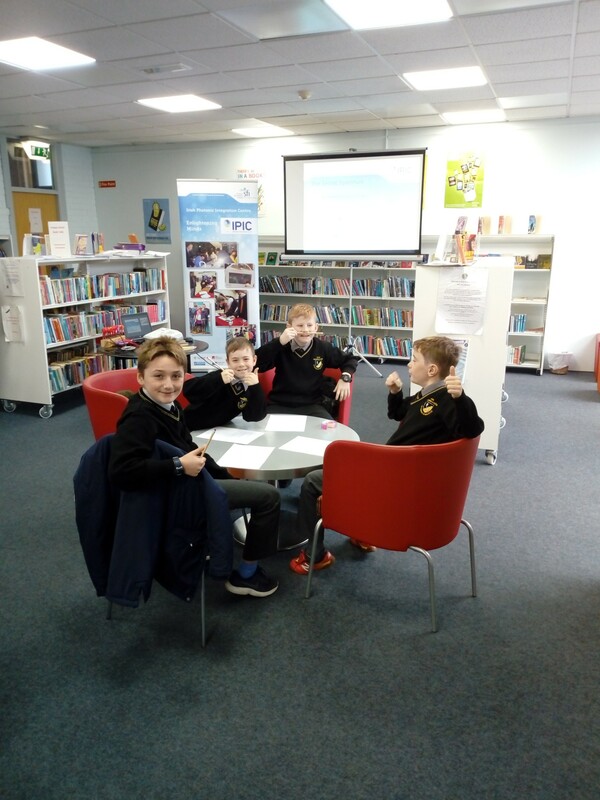 In groups the children discussed why fingerprints are important. 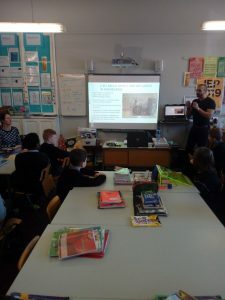 The children discussed the practice of fingerprinting being used by countries all over the world more than a hundred years and are still the most widely used form of identification. 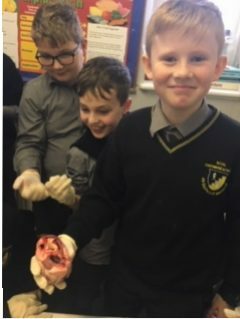 The children had a good understanding for the reasoning of why fingerprints are used but really loved learning about the anatomical purpose of fingerprints. 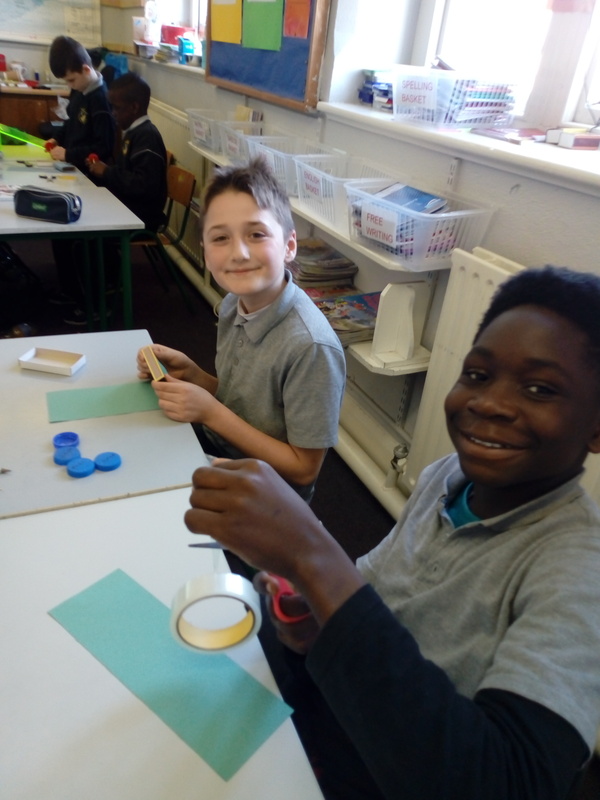 They were fascinated by the knowledge that without those one of a kind ridges, we wouldn’t be able to grip things!They learned that our fingerprints give our fingers the rough surface we need to create the friction that allows us to pick up a ball or hold onto a pencil. 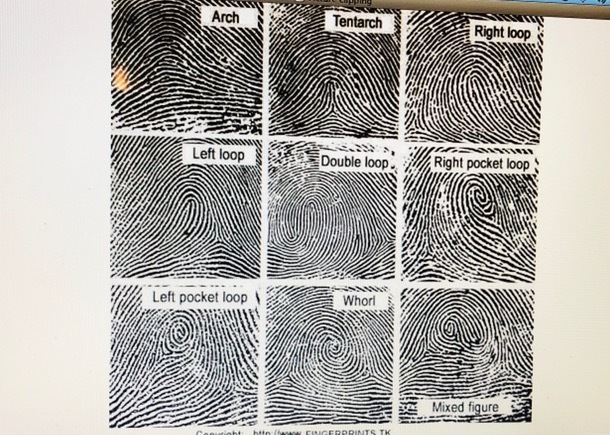 The boys were very interested to learn their fingerprints on the tiny tips of their fingers long before they born, that they are 100% unique – no two people have exactly the same fingerprint, this is why fingerprints are used to catch criminals and can also help to find lost children. The children like idea that fingerprints can leave an ‘invisible ink’ of sorts that police can decode with special tools and equipment. The children were shocked to learn that fingerprints can last for years on an object if it is not cleaned after being touched. They observed old objects to see if they could see spot any old fingerprints. 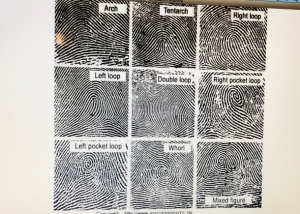 The boys took each other’s prints. We use ink ads and pencil shading. 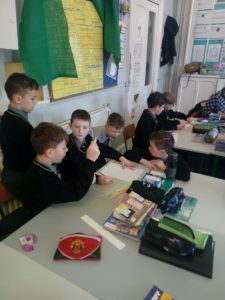 The children labeled the paper with each child’s name. The children started with the small finger on the left hand and pressed the fingers into the ink/shading then to left to right to get a more thorough print. Then we let the prints dry, then observed with the magnifying glass. 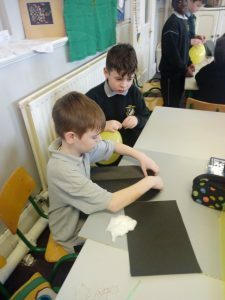 The children identified that there are many different patterns of fingerprints. 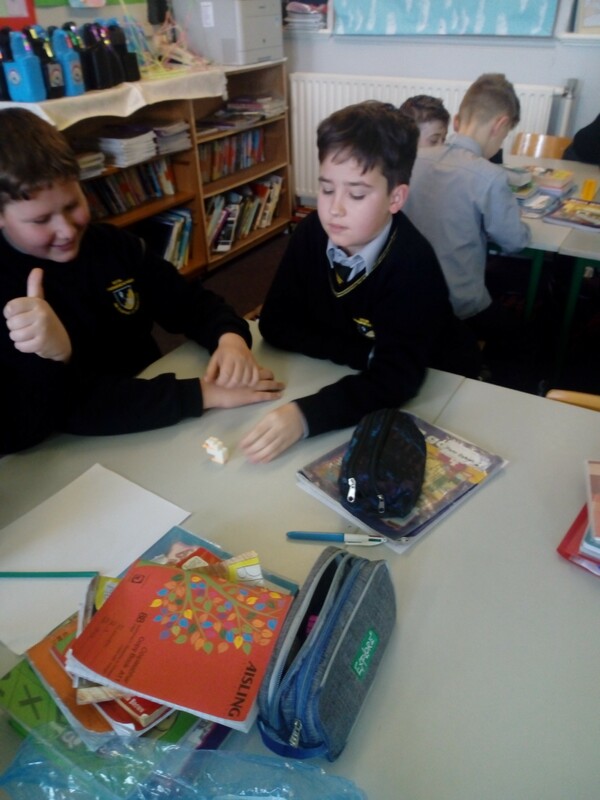 The children were interested to note that not all fingers on a a given hand will bear the same patterns. Experiment; Recognise and describe the parts of some living things. 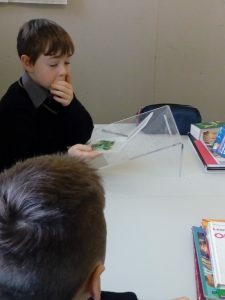 Children identified the root, leaf, stem of plants, trunk and branches of trees through many activities. We examined a broad bean straight from the packet. We then soaked overnight and noted the changes. We took the skin off and discussed with the children what was inside. 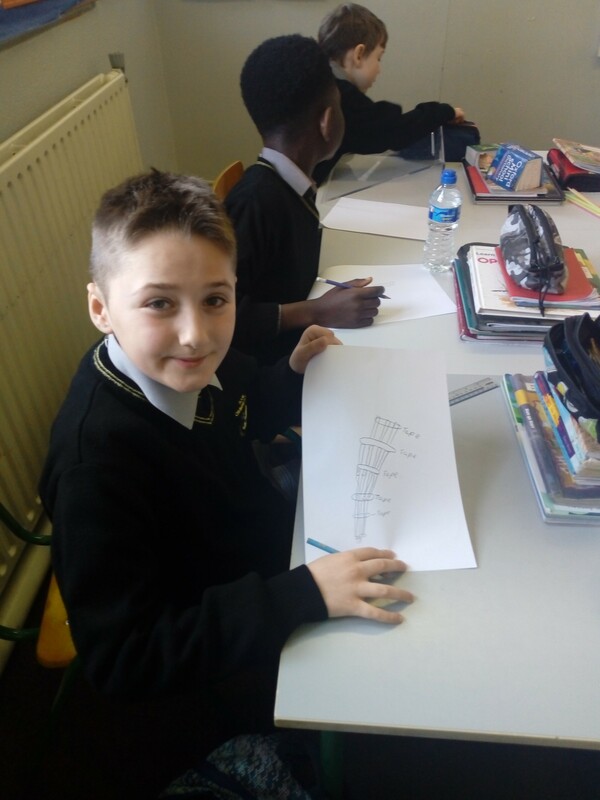 The children drew a picture of an opened bean. We placed another soaked bean seed in a see through jar in between some wet pebbles. 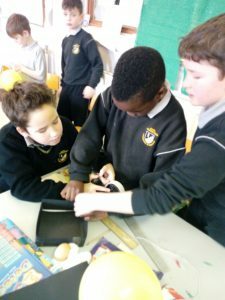 We observed and record growth labeling the stem, root, leaf. 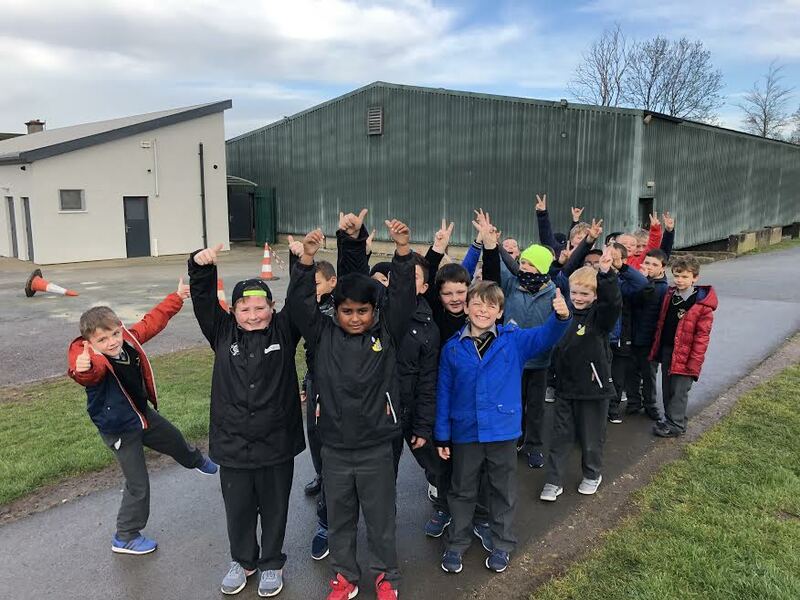 The children outside on a nature walk to observe the trees in their local environment. We described the trunk, the branches, the twigs. 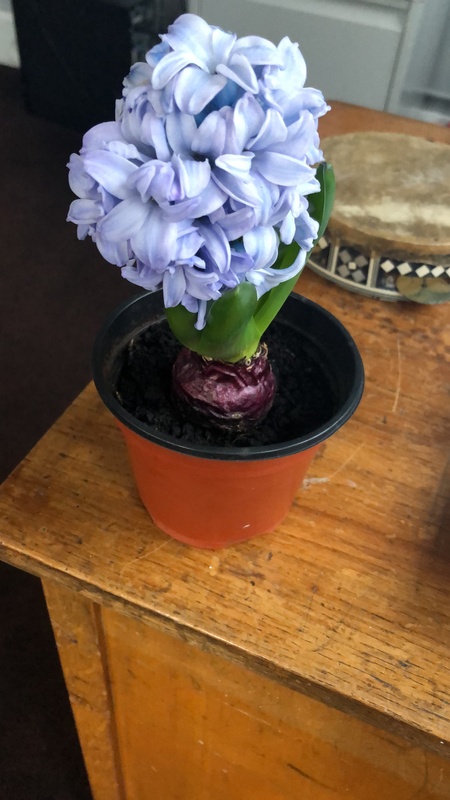 Some roots were visible at the bottom of the tree. 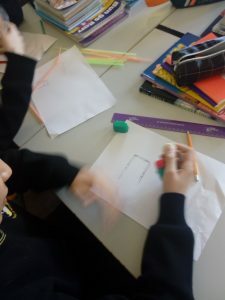 We observed and drew the different parts of the tree. 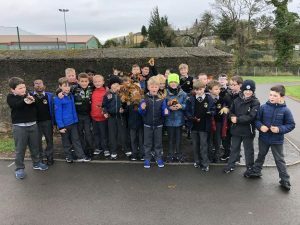 We enjoyed getting bark rubbings and leaf rubbings on the nature walk. 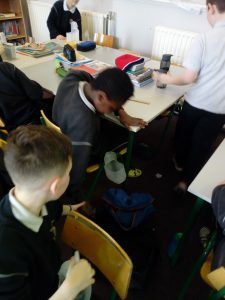 We dug up and carefully washed several large weeds with different root systems. 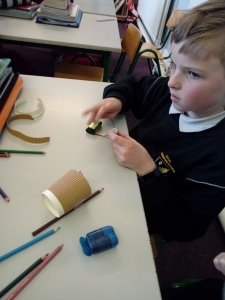 The children drew and labelled the parts and explained their purpose. 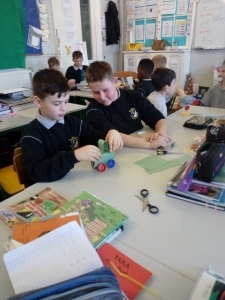 The pupils of 4th/5th did a fantastic job building their very own moving robots using apparatus that included A.C motors, connector-wires, batteries, cups and markers. The goal was to place their robots on a white A4 sheet and have the robot draw random lines on the page while powered by the A.C motor. 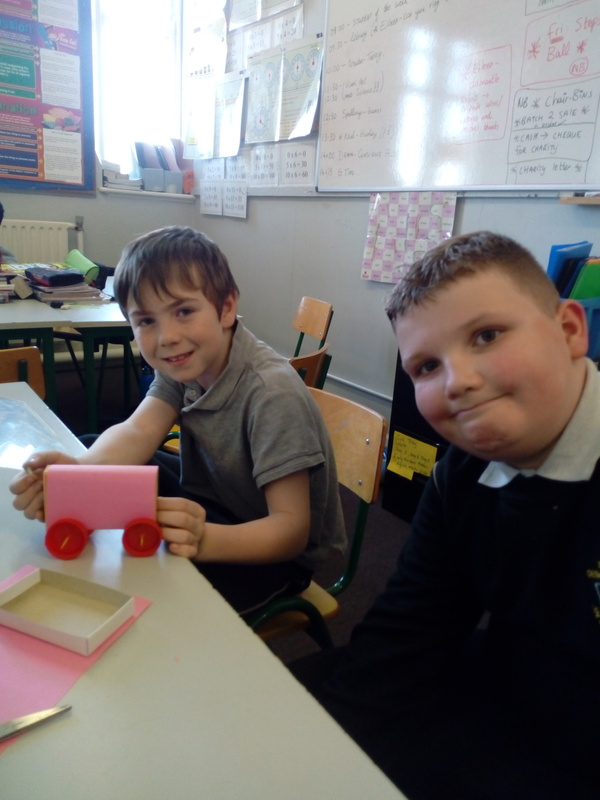 Experiment 2: Explore the attraction/repulsion of magnetic poles by designing and making a magnetic car. The pupils of 4th/5th created magnetic cars using apparatus that included matchboxes, milk-carton corks, wooden craft-sticks and straws. 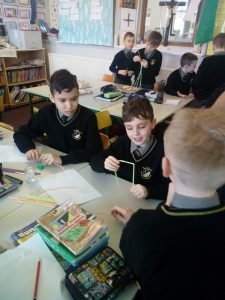 The children encountered some design issues on their first attempt but with some guidance they eventually found a design that worked well. To test their cars, a magnet was placed inside each car and they held a second magnet outside the car to see whether it was pushed (poles-repelling) or pulled (poles-attracting).